Should reports of medical errors be made public? Many more patients are hurt by medical mistakes than hospitals ever acknowledge. In fact, a recent report by the Institute of Medicine confirms what medical experts have long known: Medical errors kill more people every year than AIDS, breast cancer or car crashes. The IOM says that encouraging doctors to admit their mistakes could help hospitals prevent future errors. On Feb. 22, President Clinton urged the states to require the reporting of medical errors. But medical lobbyists and consumers are at odds over how public the reports should be. Consumer advocates and large employers, including General Motors, say hospitals should be required to report their mistakes publicly. 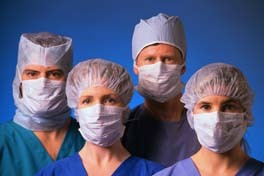 But hospitals and doctors want their identities protected to avoid malpractice suits and to encourage candor.